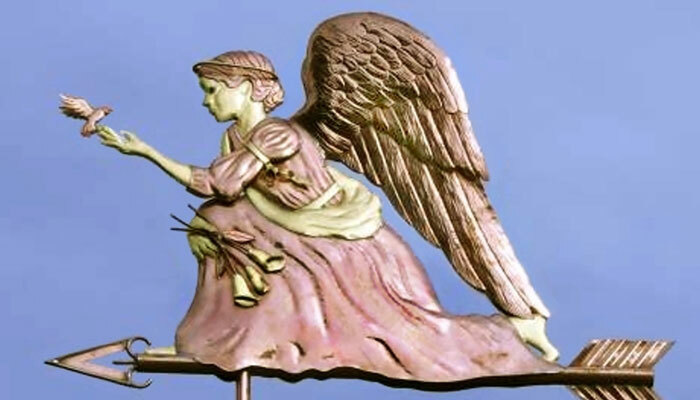 This Kneeling Angel Weather Vane is one of our newest angel designs. She is meant to depict a gentle protector who watches creatures great and small. Here, in the spirit of St. Francis, she befriends a small bird. 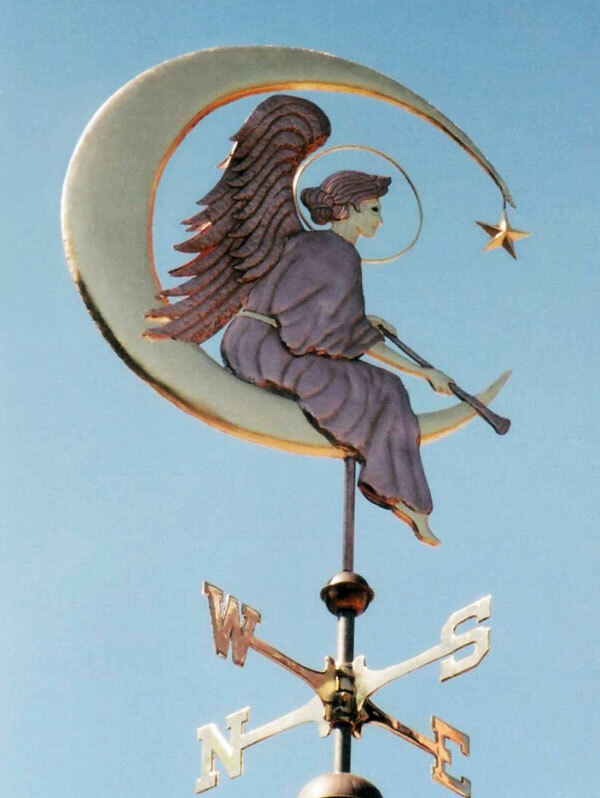 In another version of this design, the Angel’s hand is raised in the symbol of blessing. The original inspiration for this design is Leonardo da Vinci’s famous painting titled ‘The Annunciation’. 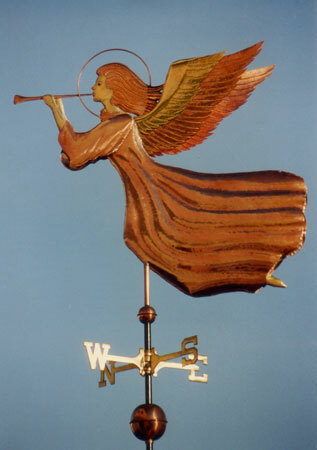 As with all of our weather vanes, customers can personalize their own sculpture piece by including ‘lucky pennies’ for the birth years of various family members. 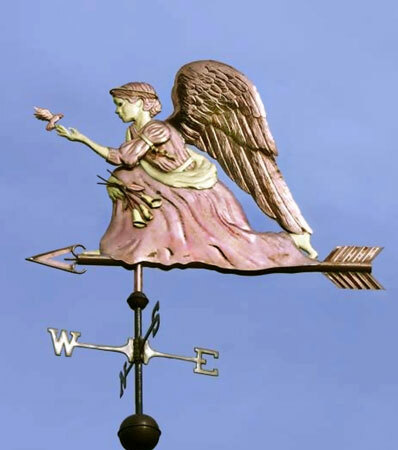 With our angel weathervanes, a good place to put the pennies is on the inner panel of each wing where they are just visible if you look closely. We can also inscribe family member’s names next to each individual’s ‘lucky’ penny. 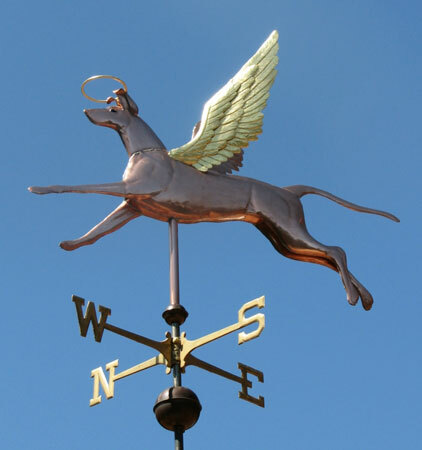 Because our weather vanes are constructed of copper and will not rust, they can be very long lasting. 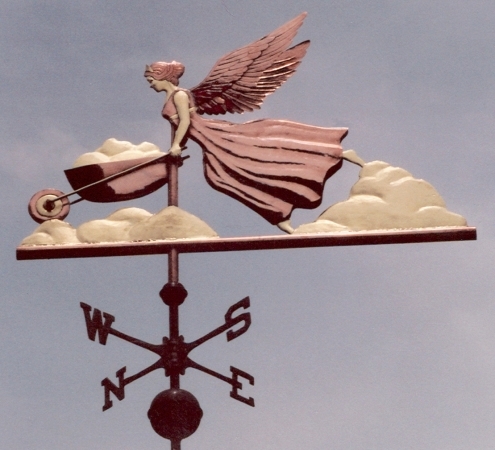 If the weathervane is kept in the family from generation to generation, the names stamped into the inner wing panels and special pennies should still be visible even a hundred years from now; becoming part of that family’s tradition. 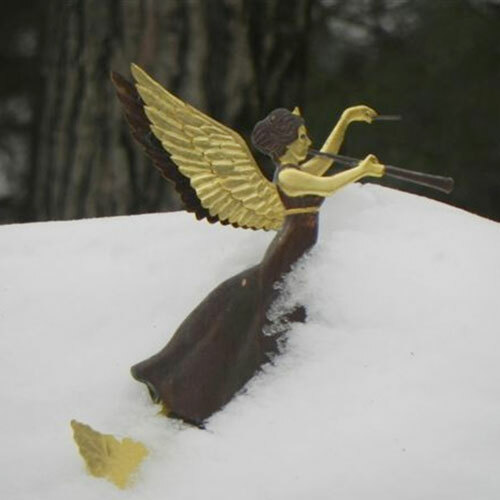 The angel featured in this photo was made with optional gold leaf accents. 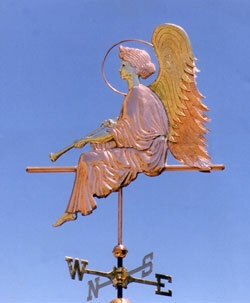 The copper on this weather vane will first weather a deep chocolate brown and then eventually patina a beautiful turquoise green. The gold leaf adds a distinctive contrast to the weathered copper as it moves through the aging process. When you place your order, you can select the glass eye color and the metal combination you like best. 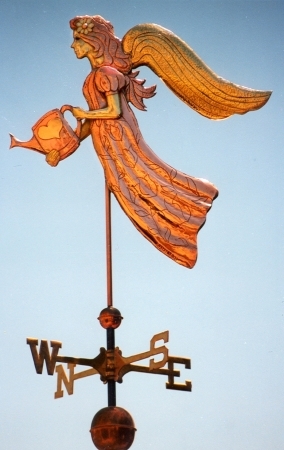 These combinations include making the weather vane entirely in copper, in a combination of copper and brass and/or with or without the optional gold leaf.